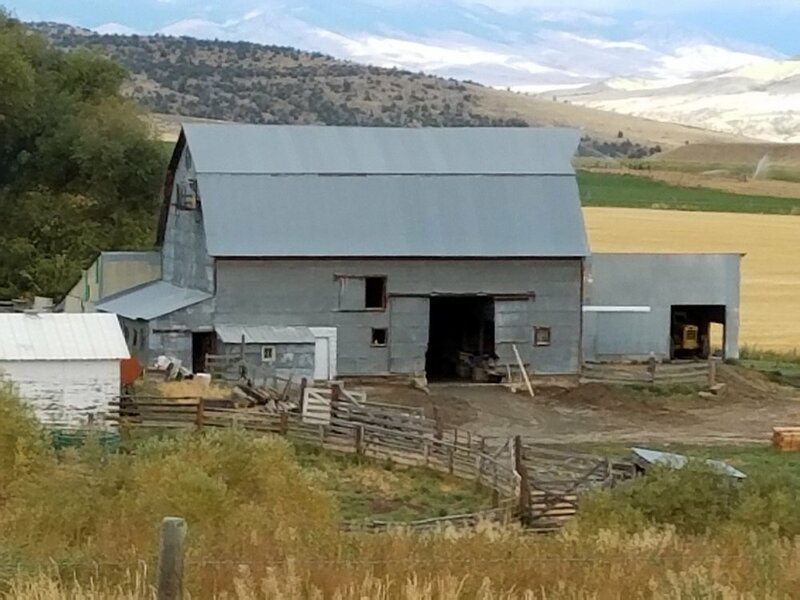 During a flurry of activity the last two weeks of September, the Powell family ranch near Cardwell was bustling with workers and filmmakers, all with their gaze intent on rehabilitating or “re-raising” a 1910 barn. For the last six months, MPA staff have guided the Powells in their journey to resurrect their barn, and it will be the first episode in our new media effort, Hand-Raised Montana, a television series built around preservation of at-risk heritage properties and the stories of families and communities working to save and reuse buildings that hold the stories of their past. 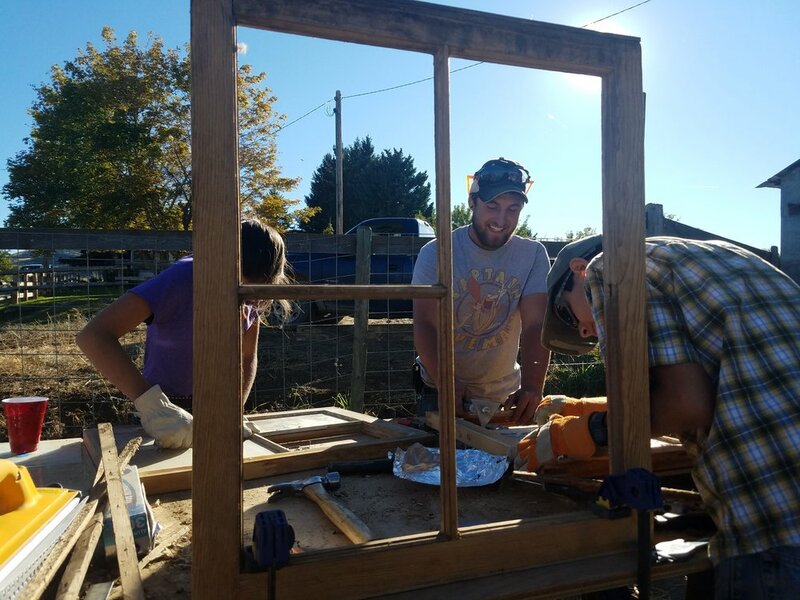 MPA Restoration Director, Dustin Kalanick started working with the Powells and close family friends in February to help plan, design, find funding, and gather volunteers and materials to rehabilitate their historic barn. 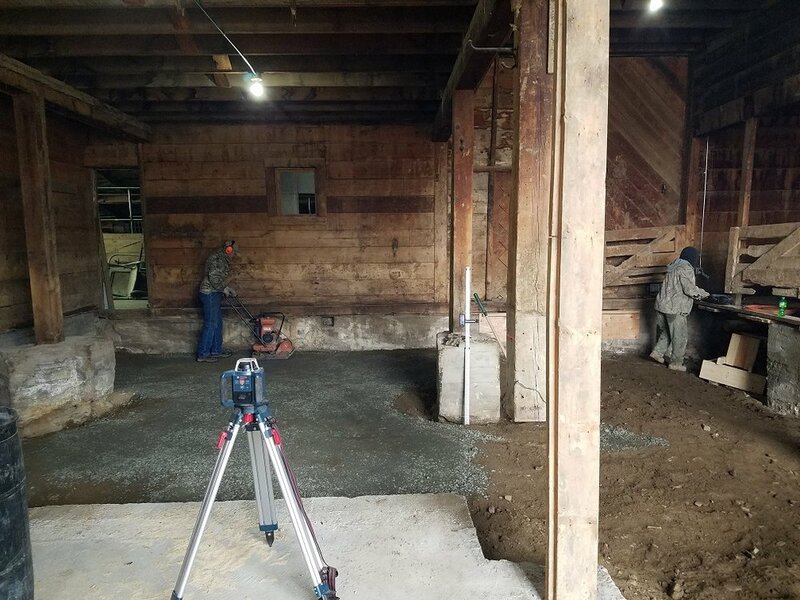 In late September, the first community crew removed non-historic partition walls in the barn, and lowered the main floor to install a new concrete slab. A week later, the Powells and many friends gathered for a day-long work party. A cadre of skilled and unskilled barn lovers repainted wooden trim, repaired tin siding, reconstructed original wood windows, and even cleaned antique harnesses to decorate the walls. When the sun started to set, we threw an old-time barn party and cider pressing inside the newly rehabbed barn. Each generation of the Powell family has used the barn a little differently, and this stalwart barn has adapted beautifully over time. 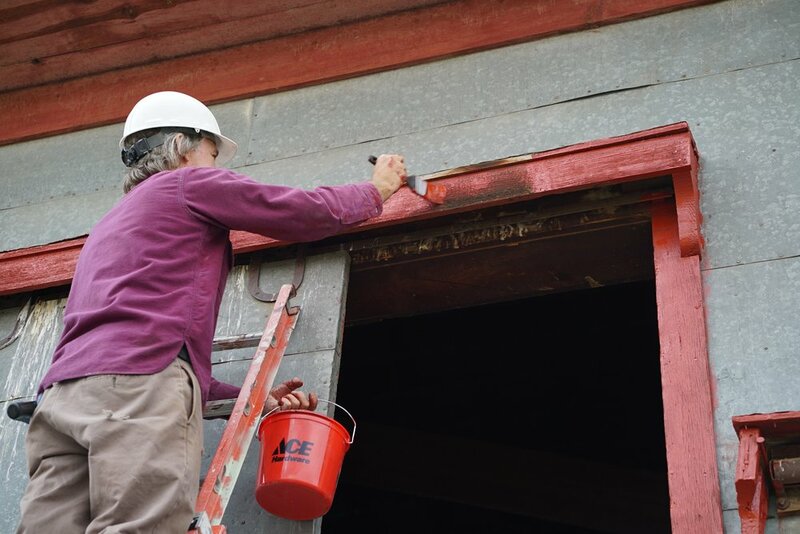 Luckily, back in 1910 when John Powell ordered his kit barn from Sears Roebuck & Co. , he chose unpainted tin siding, an innovative and nearly maintenance-free treatment that has protected the barn from wind, rain, and rot ever since. No one knows if he splurged on the siding and fanciful scrolled trim in the gabled ends, but its classic beauty and utility will forever reflect his pride in the future of his family farm. 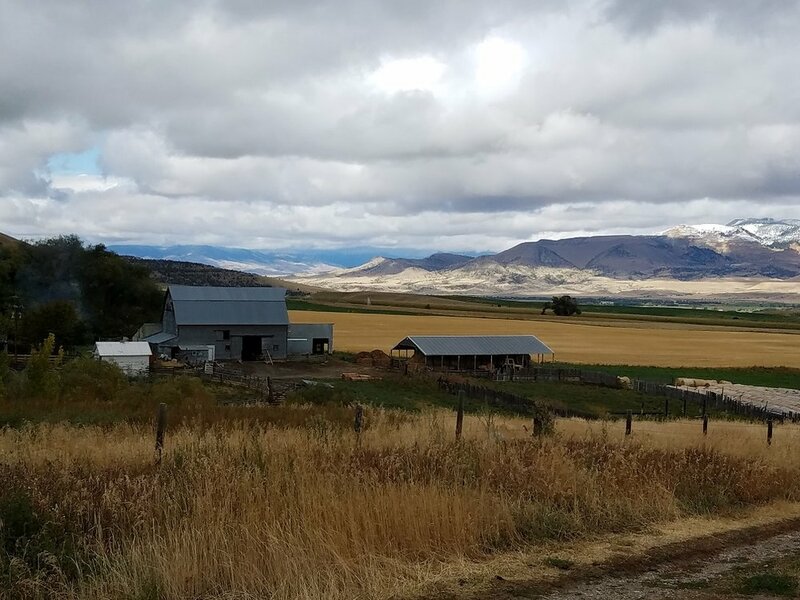 Today, Bill and Rhoda Powell are fifth generation ranchers on the property, and as they make plans to hand the ranch down, their sons Tate, Thad, and Josh are looking to the big barn as a key element in how the ranch may diversify and support the next generation of the family. 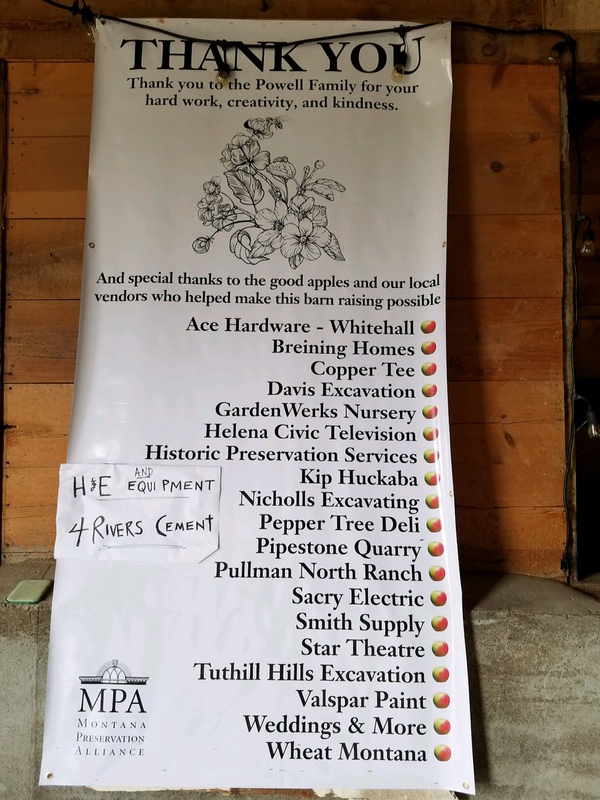 They will continue to raise cattle for now, and have dreams to expand their small heritage apple orchard, grow organic grains, and possibly have community events in the barn. 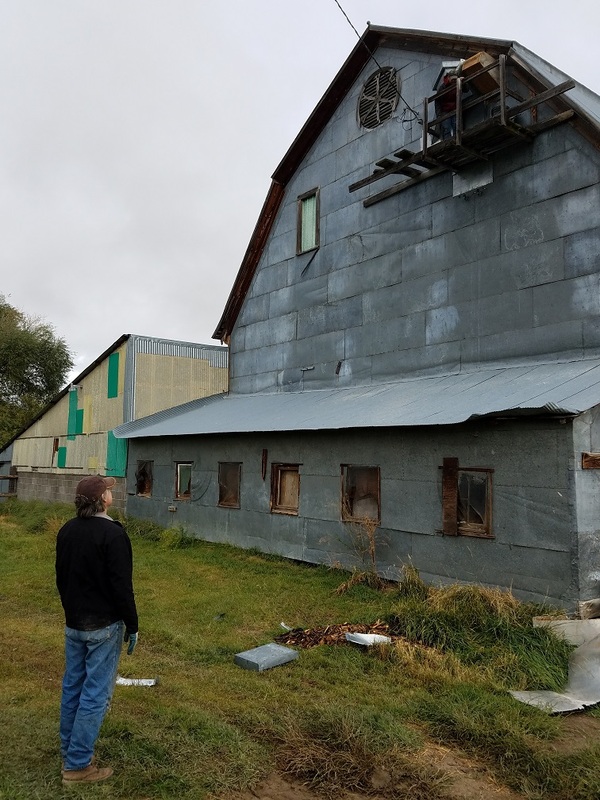 As MPA goes forward with community-based preservation projects like the Powell Barn, Hand-Raised Montana will feature endangered rural buildings such as a barns, homestead cabins, schoolhouses, prairie churches, grain elevators, and more. The main story line will always twine together two layered narratives – a focus on the building, its history, and the challenges to keep it standing, and the story of families and communities working together to rescue the building and how that can be achieved for the good of all. Stay tuned!